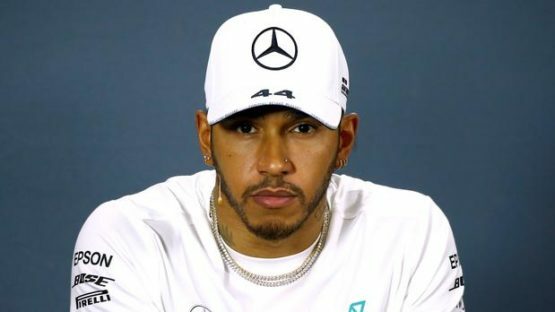 Lewis Hamilton on Thursday said it was “crazy” that racism still exists in sport as he followed his tweet about the “despicable” treatment suffered by England’s footballers in Montenegro with a plea for stricter action against the scourge. Speaking ahead of this weekend’s Bahrain Grand Prix, the five-time Formula One world champion, who is the only black driver in the sport, made clear that families and people from all walks of life can make a stand against racism. “People just need to stand up to it more,” he told reporters at the Bahrain International Circuit. “I just remember being at school when I was younger and people just got a slap on the hand for it — it’s just kind of let slide. Considering his position as a role model with a large following on social media, the Mercedes driver added: “I don’t feel like I have a responsibility as such. I definitely feel that I’m in a privileged position that I do happen to have quite an audience, that’s quite a lot of power, particularly with social media. “There are things I see all the time… there’s a lot of stuff that I don’t post that I want to post. You have to keep it balanced as I have old followers and young followers and choosing what you do show and don’t show, but there’s so many issues around the world today. Vettel was reported to have said that Hamilton slowed because he was “probably bored and not happy because he lost the start.” Hamilton responded by saying: “I’ve never planned to hold anybody up. I was just doing my own race.